The wedding was for the couple that I did the engagement session for. 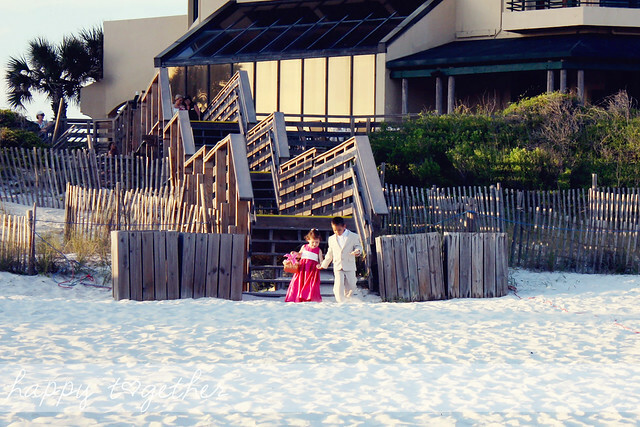 It was in Destin, FL, which is a beautiful area. The weather was perfect and everything was beautiful. 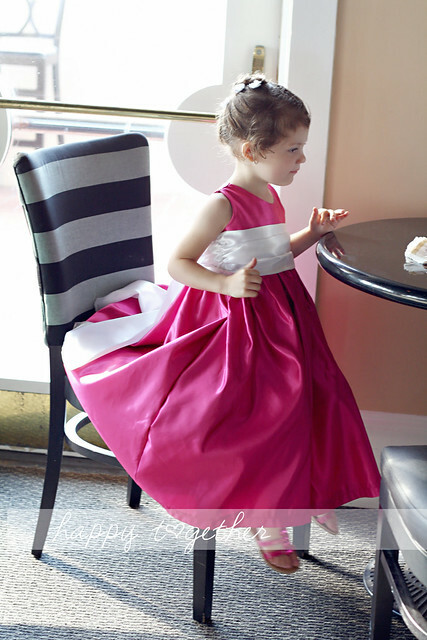 My daughter was the flower girl and I was so happy the bride let me make her dress! We went to JoAnn’s together and I let her pick out the colors and all. Then I got to sewing. I just made it up as I went and I love how it turned out. I also made the little flowers for her hair and the shoes came from Target. 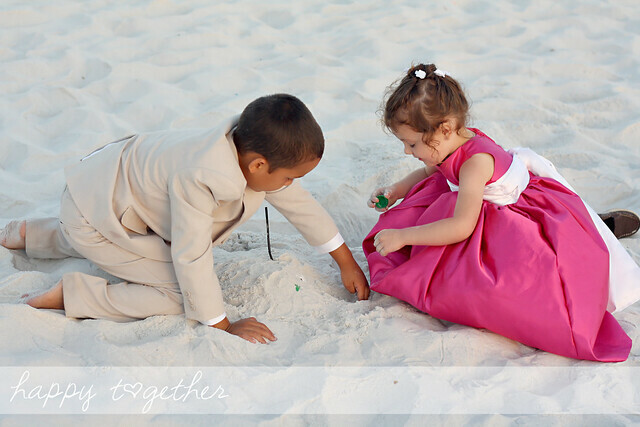 After the wedding, her and the ring bearer went right into making sand castles. 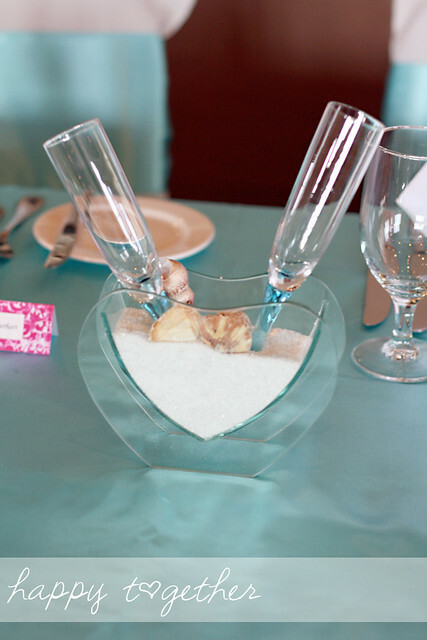 I mean, you can’t go to a beach wedding and not make sand castles! 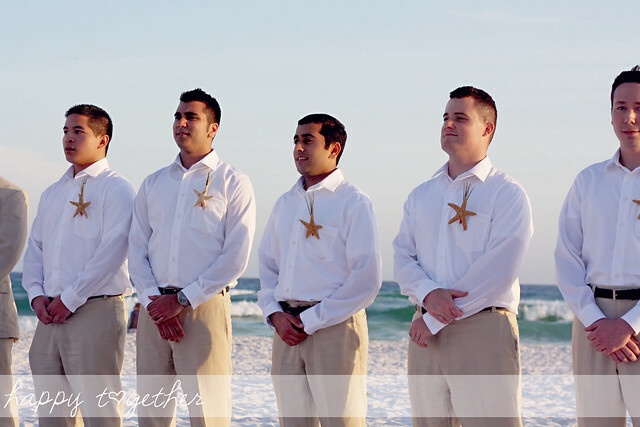 My hubby was also a groomsman in the wedding (second in from the right). Good times were had by all. 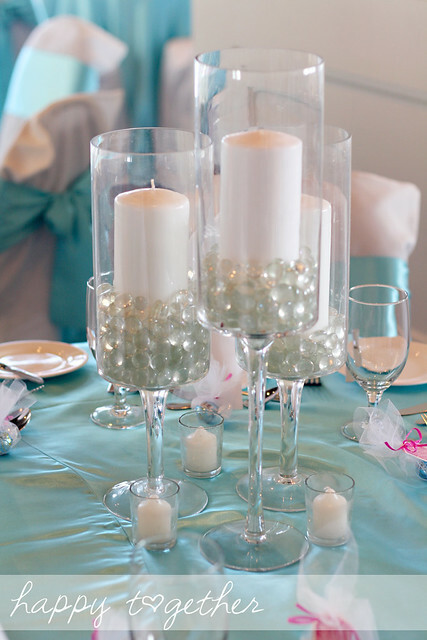 I just love weddings! What a perfect wedding for kids. There is usually so little for them to do. Sand castles a perfect idea. Beautiful wedding! 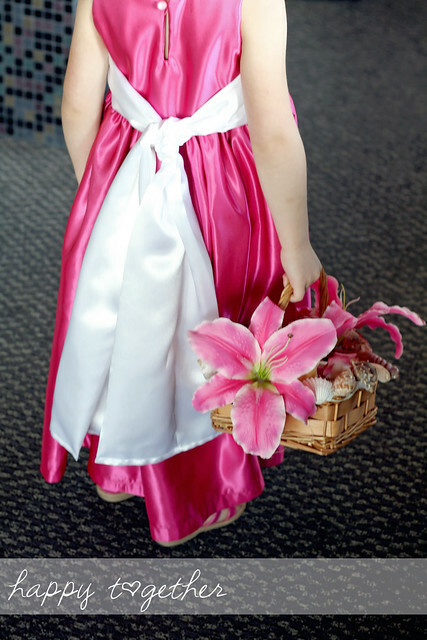 And adorable flower girl! Cute dress! I am so ready for the beach. 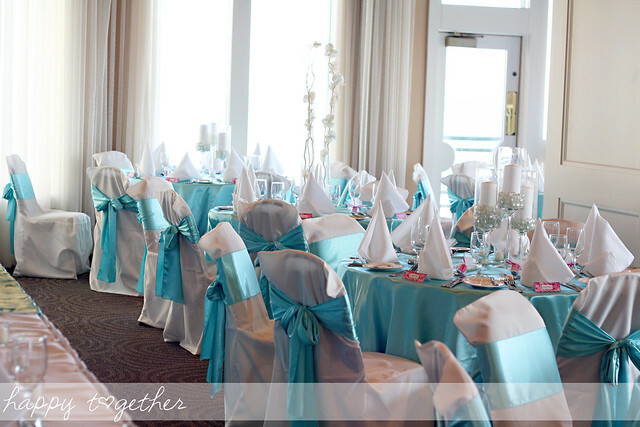 I love the colors and details of the reception. The bride is beautiful, too! Jaala is just adorable, Jessica!! Cute dress! I am so ready for the beach! 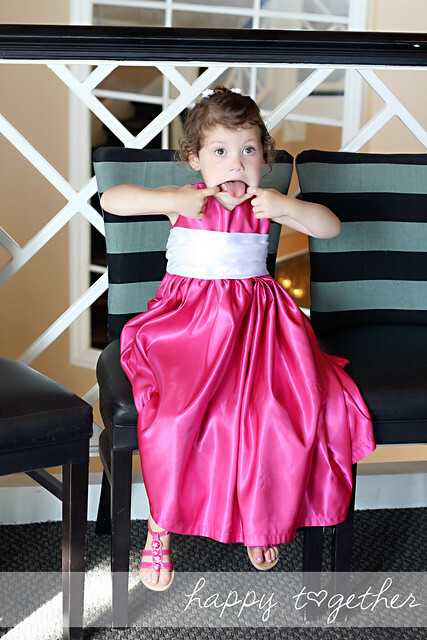 Your sweet little girl looked absolutely gorgeous! I love the shots of her in the sand. Beautiful wedding. 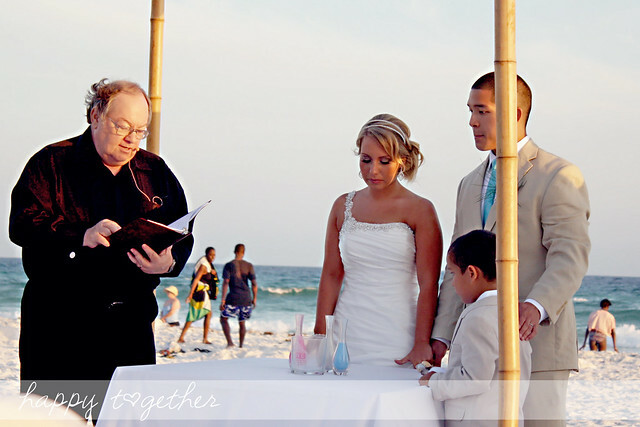 Beautiful wedding, and bride & groom! LOVE the colors! The dress turned out beautiful too! 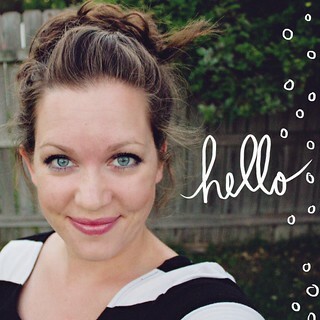 Gosh, I love this little dress! It is perfect in every way!! The back button closure is so sweet too, the perfect detail!! Good job!! What a beautiful wedding! 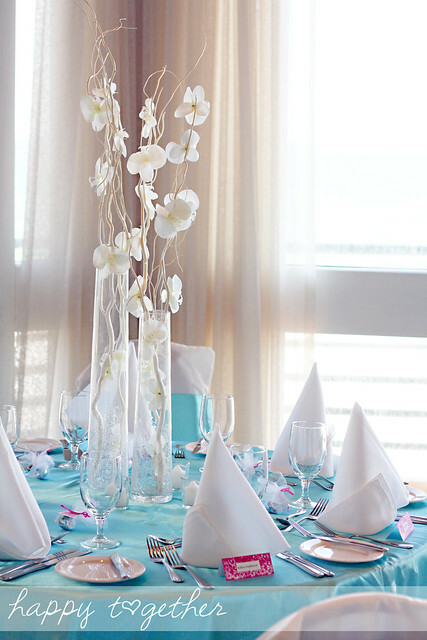 I love the colors and decor. What a beautiful dress and amazing shots! Great job! The dress you made is absolutely gorgeous!! Love, love, love it! Just beautiful. 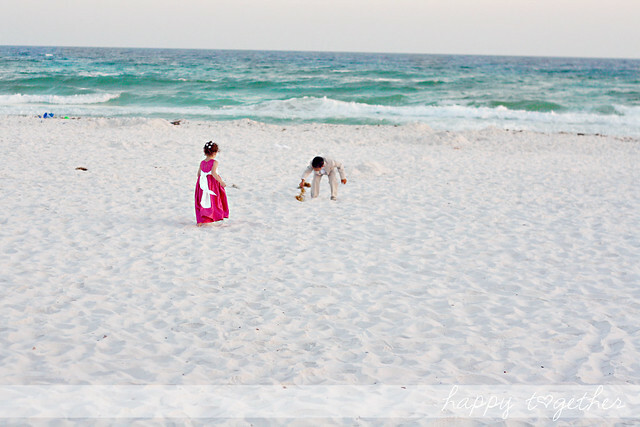 I love all the pictures especially the kids on the beach in their wedding attire. Stunning photos Jess! You have an amazing eye for capturing the essence of it all. I love natural photos that aren’t posed for weddings. 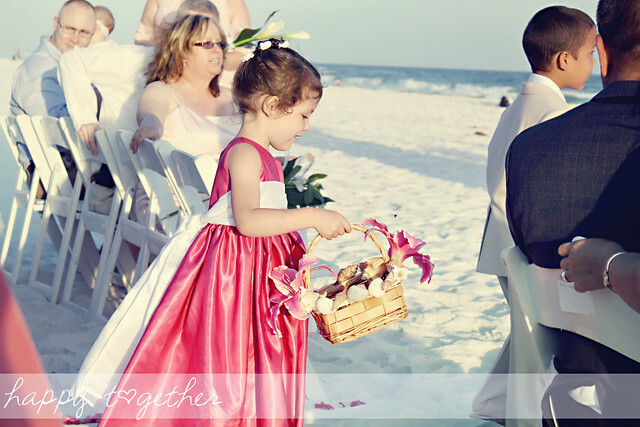 Your little flower girl looked just beautiful – you did a wonderful job on her dress. Were there other bridesmaids? 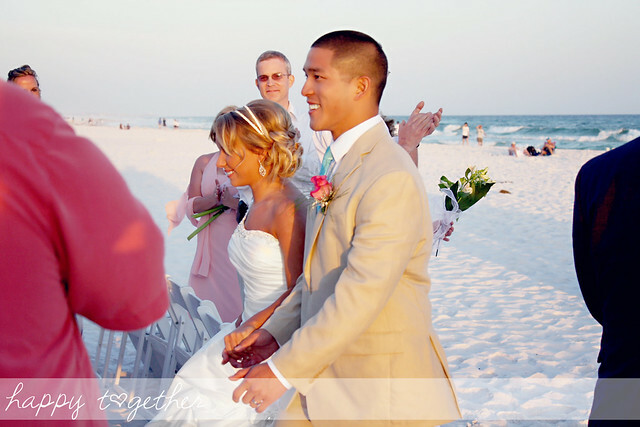 I love the saturated colours in the wedding; perfect for the beach. 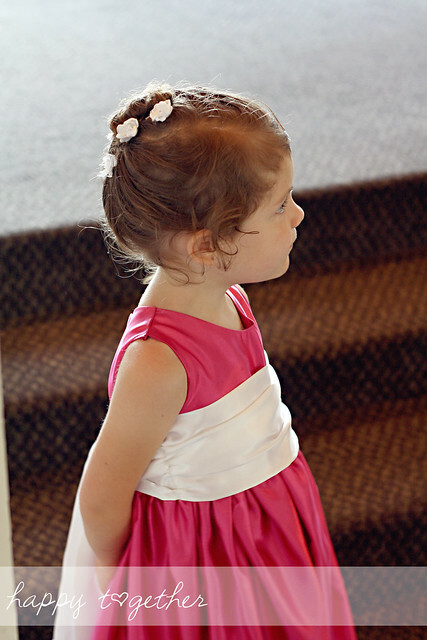 I think the flowergirl sash on the dress is too high in the front though. You did an awesome job on the dress. She looked beautiful in it. You have such talent in making the things you do. 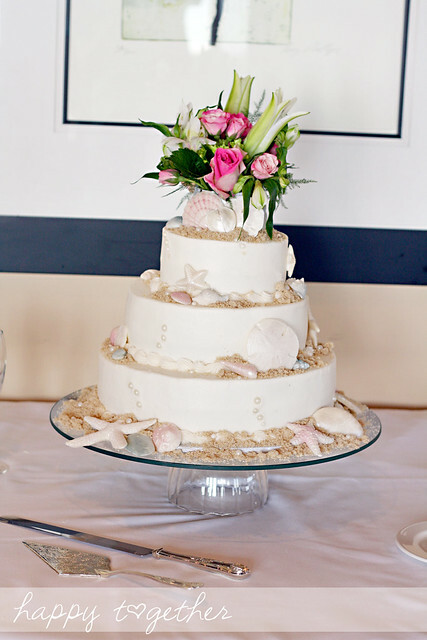 Thanks for sharing a beautiful wedding with us.